Use Text Input and Text Area to allow users input single line text values. 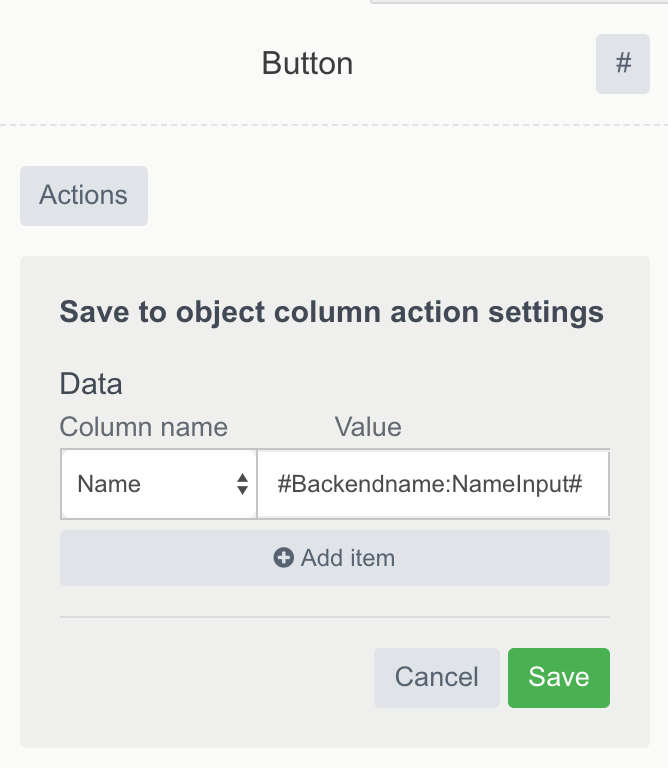 Each Input data is available all across the platform via hashtag link mechanism. 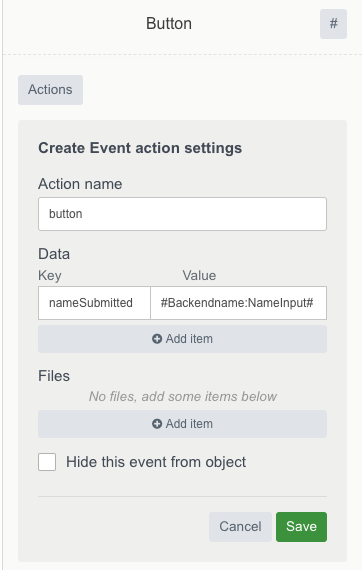 Fill in Backendname field with "NameInput" and the Placeholder with "Name"
Fill in Backendname with "Submit" and the Caption Button with "Submit Name"
Click on the Actions and select "Save to Object Column"
Click on the Actions and select "Create Event"
Backend Name: is used to access this element content from the other parts of the App. Can contain letters, numbers, spaces and Hashtags. Max length: 255. Text: the string entered to this field would be displayed to the AppUser. Can contain letters, numbers, spaces and Hashtags. Loop: repeat the element based on the Smart Filter or API Call.